Armenia is located in southwestern Asia. Armenia is bordered by Azerbaijan to the east, Iran to the south, Turkey to the west, and Georgia to the north. Google Earth is a free program from Google that allows you to explore satellite images showing the cities and landscapes of Armenia and all of Asia in fantastic detail. It works on your desktop computer, tablet, or mobile phone. The images in many areas are detailed enough that you can see houses, vehicles and even people on a city street. Google Earth is free and easy-to-use. Armenia is one of nearly 200 countries illustrated on our Blue Ocean Laminated Map of the World. This map shows a combination of political and physical features. It includes country boundaries, major cities, major mountains in shaded relief, ocean depth in blue color gradient, along with many other features. This is a great map for students, schools, offices and anywhere that a nice map of the world is needed for education, display or decor. 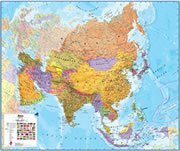 If you are interested in Armenia and the geography of Asia our large laminated map of Asia might be just what you need. It is a large political map of Asia that also shows many of the continent's physical features in color or shaded relief. Major lakes, rivers,cities, roads, country boundaries, coastlines and surrounding islands are all shown on the map. Akhta, Alaverdi, Amasia, Angeghakot', Anipemza, Aparan, Aragats, Ararat, Ardzun, Armavir, Artashat, Art'ik, Artsvashen, Ashtarak, Banadzor, Basargech'ar, Damnah, Dilijan, Echmiadzin, Gorayk', Goris, Gyumri, Hrazdan, Ijevan, K'ajarqn, Kamo, Kapan, Karmir Blur, Krasnosel'sk, Maralik, Martuni, Meghri, Sevan, Sisian, Sot'k, Spitak, Step'anavan, T'alin, Tashir, Vanadzor, Yeghegnadzor and Yerevan. Akhuryan River, Aras, Arpa, Arpacay River, Hrazdan, Lesser Caucasus, Ozero Sevan and Sevana Lich. Armenia's geologic resources include small deposits of gold, zinc, molybdenum, copper, and alumina. Natural hazards for Armenia include droughts, and occasionally there are severe earthquakes. 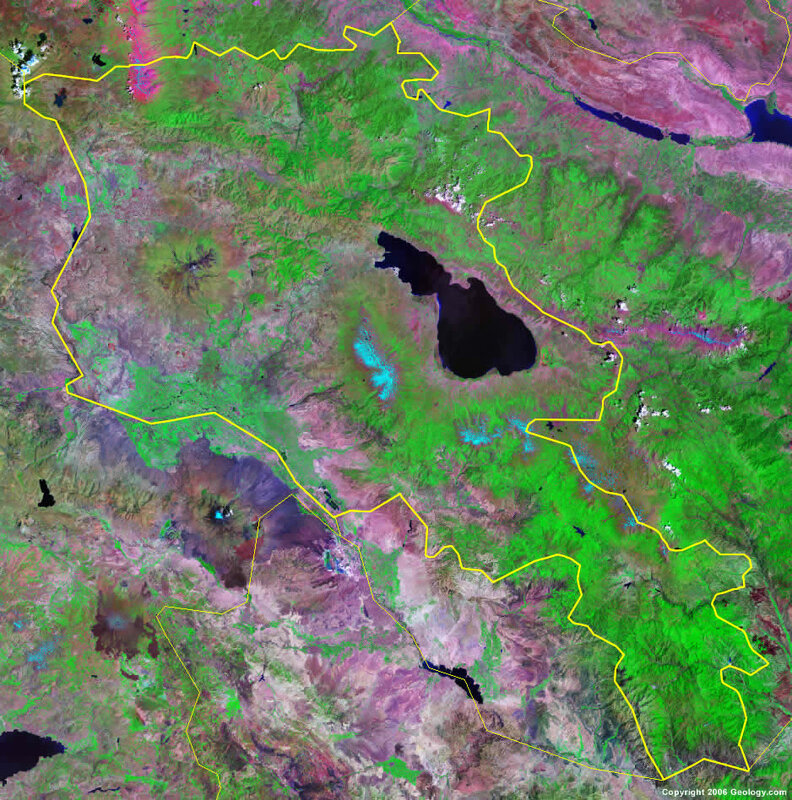 The environmental issues of land-locked Armenia are numerous. Water concerns range from the pollution of the Hrazdan (Razdan) and Aras Rivers, to the threat of drinking water supplies due to draining the country's large lake, Sevana Lich, for hydropower use. There is soil pollution from toxic chemicals, such as DDT, and deforestation from the inhabitants scavenging for firewood during the 1990s energy crisis. In addition, Armenia has restarted their Metsamor nuclear power plant in spite of its location in a seismically active zone.